Australian Dream VS Blue Emu – Which Is Better? 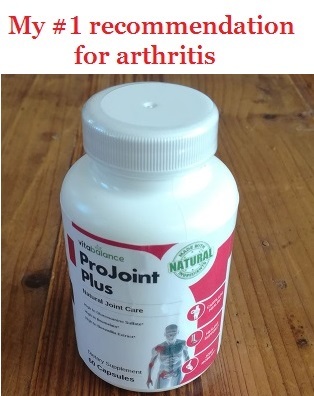 Are you looking for a quality cream for arthritis? It’s time to compare 2 of my top choices – Australian Dream vs Blue Emu. However, I managed to find some major differences between them. So which one is better – Australian Dream or Blue Emu? Let’s take a look at each of their aspects – and pick the best winner. When it comes to what it contains, Australian Dream is way better. Why? Its ingredients are more powerful – compared to Blue Emu. But let’s take a quick look at each cream. It can relieve the pain all alone. Plus, it’s FDA approved – which is very rare. And one more thing – its doses are clearly mentioned, which is a great plus. Very few creams are honest from this point of view. So you can’t really tell how much Emu Oil you have inside. Maybe you have a very low dose – but it still counts as an ingredient. Do you see what I mean? That’s what I don’t like about Blue Emu. Australian Dream has much better ingredients. Though there’s only 1 substance – it’s extremely powerful (compared to regular ingredients from creams). Plus, they clearly mention the doses and the inactive ingredients. While in Blue Emu – you can’t even tell the dose of Emu Oil. 1. AUSTRALIAN DREAM – it’s probably the perfect cream in terms of how it looks. So there’s nothing I could criticize about this product in terms of how it looks – I wish every cream was like it. 2. BLUE EMU – I’m also pretty satisfied with its texture. Now – that’s not a real problem, it’s just something I personally don’t like. Since Emu Oil isn’t blue (as far as I know), this cream might have some synthetic additives inside. I couldn’t pick a winner in terms of consistency. Both Australian Dream and Blue Emu are easy to apply, rinse and great to use overall. Truth is – both creams work really good overall. So Australian Dream is the kind of cream that works instantly. Obviously, the effect doesn’t last a lot – but that’s another story that I will discuss later on. Once those 3 days were gone, its effect was really intense. But if you need something that works immediately – I’m not sure this is the right product. At least based on how it worked for me. They both work really well, but Australian Dream is faster. So I would probably recommend it more for someone who needs a relief within minutes. With Blue Emu, I think you need to wait a bit more. To be honest, I will have to be subjective at this chapter. And truth is – these 2 creams are really close in terms of intensity. Now – this cream didn’t decrease my arthritis pain completely. But getting from a 6 to a 4 isn’t a minor thing. So overall, I wasn’t disappointed by it. Overall, it was slightly better because it had a more intense effect. At least in my case, that’s how it was. The effect is pretty much the same for both creams. Blue Emu worked a bit better overall, which is why I picked it as the winner. But compared to other creams, they’re both really good. However, things may be different for someone else – so at this chapter, Blue Emu is just my personal pick. Even though both creams are pretty close, I think they have several differences here. 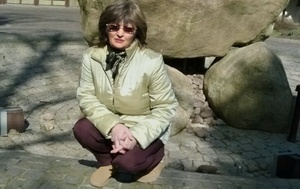 Now – the only difference is that the back pain form is more concentrated. On the other hand, the arthritis form has a lower dose. So I always recommend people to get the back pain form – no matter what kind of pain they have. this includes: general pain relieving cream, arthritis cream, foot therapy, spray, etc. Now – there are some differences between the 5 forms. But they mostly use the same ingredients and doses. Blue Emu is the winner when it comes to forms and sizes. You can find more types of Blue Emu cream – compared to Australian Dream, that only has 2. When it comes to price, things are easy. So these prices are pretty high – $24 for a tiny bottle of 2 oz is way too much, in my opinion. But they are the lowest I could find for this cream. Now – compared to Australian Dream, these prices seems a lot more affordable for everyone. They could be lower – considering it’s a cream, but even so. The prices of Blue Emu are much better: $35 for 12 oz vs $45 for 9 oz (Australian Dream). So I think you can tell which is more affordable on the long term. My Verdict – Australian Dream Or Blue Emu? Short answer: Probably Blue Emu – since it has a better price and works slightly better. However, Australian Dream is pretty close – that’s why it remains one of my favorite creams ever. That’s why I don’t recommend creams as a treatment for arthritis. At least – not alone. So if you have a minor pain, either Blue Emu or Australian Dream will do. But for a serious affection, I advise you to go for a supplement. Top 13 Causes Of Shoulder Joint Pain – Which One Is Yours?